Microsoft has pulled off a surprising sales coup in Japan. 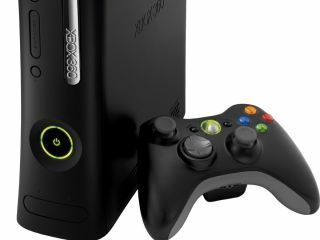 For one week only, it managed to flog 17,673 Xbox 360 consoles, a rise of nearly 500 per cent. In contrast, sales of the PS3 dropped slightly to 17,434 meaning that the 360 outsold it by 234 units. The sales data comes from Japanese site Media Create, which shows the Nintendo Wii is still far and away Japan's favourite console. It sold 59,714 units, nearly double the PS3 and Xbox sales 360 put together. While this week's sales are good news for Microsoft, the mini sales boom is unlikely to go on for too long. Japan's long-running love affair with home grown consoles is unlikely to end any time soon. The sales spike itself was more likely sparked off by the launch of Namco Bandai's Ace Combat 6, which rocketed into the charts at number two. On November 1, Microsoft also cut the price of the Xbox 360 in Japan to just 34,800 yen (£149). That's £100 less than the same model costs in the UK. According to Enterbrain, In the first half of 2007, Microsoft sold 122,565 Xbox 360 consoles, compared with 503,554 PlayStation 3 units and 1.78 million Nintendo Wiis.